Following up on their successful debut album, The Wayfinders, the Parker Abbott Trio have released an album that demands attention from not only their core audience of forward-thinking jazz listeners, but from anyone remotely interested in hearing thoroughly original and well-executed new music. 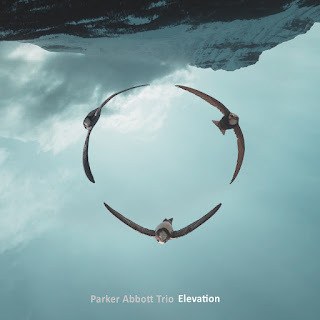 Elevation further exudes the Parker Abbott Trio’s penchant for exploring the boundaries of musical classification, abutting genres as diverse as classic jazz, prog-rock, and impressionistic piano, all while remaining fully ensconced in its own unique core sound. True to the name, Elevation is uplifting as a complete work, providing an end-to-end aural experience that will leave listeners lifted, convinced of their ability to rise above all obstacles. To be sure, the album has dark, introspective moments, as on “Night Song” or “Gregory”, but those deeply crafted moments of fear and doubt only provide a more powerful resolution for rising, positive tracks like “Nothing Left to Eat” or the eponymous “Elevation”. Sonically, Elevation builds on the textural complexity of the Parker Abbott Trio’s last album. The compositions on Elevation unremittingly shift and overlap between acoustic grand piano, organs, synthesizers, various electric pianos, and melodica. The result is a tremendously rich aural atmosphere, progressively structured and performed. The combination of studio-oriented sonic detailing and intelligent, jazz-oriented writing and improvising on Elevation bring to mind the work of such contemporary stylists as Marco Benevento, Bill Frisell, and Brad Mehldau on his Largo album. The Parker Abbott Trio is a keyboard-centric group of Toronto-based musicians exploring the intersections between two pianists and a drummer—and using a huge sonic palette to do so. Beginning in 2010 with the piano duo of Teri Parker (Idioteque, Teri Parker Quartet) and Simeon Abbott (Danielle Duval, DO! 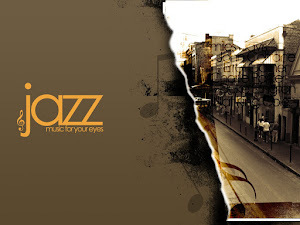 ), the group was expanded into its current trio formation in 2011 with the addition of percussive powerhouse Mark Segger (Kyle Brenders Quartet, See Through Quintet). 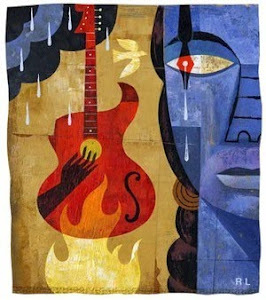 Using a plethora of keyboard instruments and a pan-stylistic approach to composition and improvisation, the trio has created an utterly original, multi-faceted jazz sound that has been called “an ethereal wonderland of sound and texture” (Brent Black, criticaljazz.com). Their newest album, Elevation, is an introspective and uplifting sonic journey full of indomitable tunes that swing, shuffle, simmer, and blaze. The Parker Abbott Trio is a peerless group, and Elevation is sure to be one of the year's highlights for original, forward-thinking instrumental music.